The cooperation inside OPEN will be developed, both under a conceptual and implementation role, between the Coordinator and the Coorganizers. As further level of cooperation, the project will involve Associated Partners whose activities can result profitable for good course and development of programme. The Coordinator will trace general guidelines of project at conceptual and operational levels. His first duty will be to coordinate the activities carried out by coorganizers and associated partners, verifying periodically the job done by each of them. Together with project leader, the National Federation for Street Arts will be part of basement for the OPEN organizational scheme in development of international connections with Coorganizers and Associated Partners. Beside this, the Federation will be engaged in publishing and dissemination of results. The whole FNAS staff will support these activities. The role of two Coorganizers in Bremen and in Namur in the management of actions will be to expand the cooperation on national and international level, thus encouraging public ad private boards of their respective countries to participate to the Network, and also to involve artists and companies of different countries. For each Coorganizer 1 responsible director and further staff will be engaged on project activities. The OPEN international appointments (OPEN Festival, OPEN Meeting, OPEN Showcase) will be themselves good opportunities to define common frames that each partner must apply in their activities. The constitution of 3 permanent seats of OPEN Forum, will grant a continue cooperation to all public and private boards, operators and artists involved. 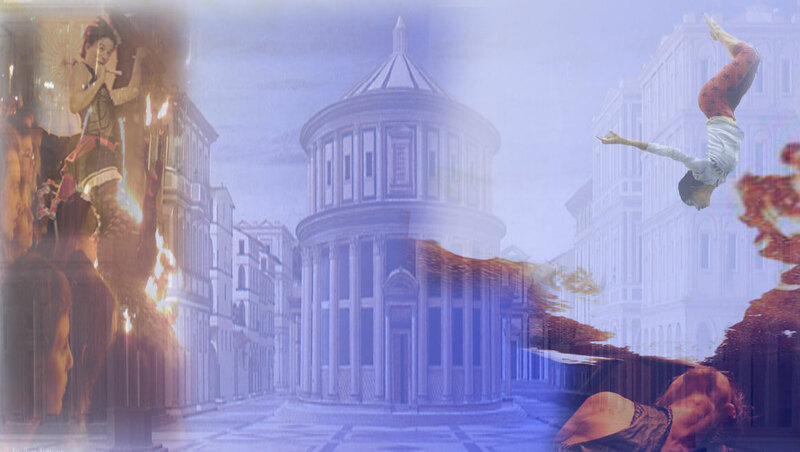 The Comune di Montegranaro in the last decade, to give a strong pulse to promotion and exploitation of cultural activities, meant as tools able to favour social cohesion and development. In this context, the administration has particularly emphasized the activities focused on the Public Library, which is one of the most important libraries in the province of Fermo, and its links with local no profit associations and schools. Also important is the promotion of performing arts, sustained by an increasing qualification and powering of shows offer. Thanks to Veregrastreet Festival and to activities in fields of music and performing art, Montegranaro is today a fulcrum of interest and reference for art operators and a wide range of audience. Since twelve years by now, large and small squares, street and alleys of the historical centre of Montegranaro in the last week of June transform their shape into a huge and magical stage where audience assist with strong emotional closeness to shows performed by high level actors and musicians coming from all over the world. In the recent years the Festival has shaped into dimension and significance such to be considered one of the most interesting national events in this art sector. One of most substantial results achieved is the networking of festival, in junction with other municipalities of the province, thus obtaining a wider dimension on territory. - To invite to its festival other artists from cooperating countries (co-organizers and partners). The Federazione Nazionale Arte di Strada is the italian association for street arts, which has the purpose to join artists, companies and promoters active in the ambit of performance on street. At the moment nearly 70 solo artists, 90 companies, together with more than 50 promoters and festival organizers are members of the F.N.A.S. In ten years of activity, the F.N.A.S. has been able to settle out many services at disposal of artists: an office for information and fiscal assistance; an annual national training programme with several stages opened to members and non-members artists; the monitoring of municipalities adopting regulation in favour of free street performance; the direct contact with Ministry of Cultural activities for the release of a new national law in favour of street arts; furthermore, every year the F.N.A.S publishes "Kermesse - yearbook of street arts", the sole official publication of this sector, with the contribution of Ministry of Cultural Activities. The National Federation for Street Arts and the City Council of Montegranaro will be the basement of organizational scheme of OPEN and together they will rule the management of all connections with all european partners of project. school junge acteure, and the international network project artserv.net. It also organizes two festivals on a yearly basis: Miniatures, festivals for small scale performances, and La Strada International Street Circus Festival. After five years, La Strada is now the most innovative festival in Germany and grew into an event with about 150.000 spectators and 170 shows in one weekend. As a result, La Strada developed into a stepping stone for international performances in Germany.Within the framework of LA STRADA and in cooperation with artserv.net, our board organized in 2009 the first international symposium on future of street theatre in Europe and Germany. It was a great success with almost 30 delegates from all over Europe attending the gathering, network meetings. The Neue Gruppe Kulturarbeit is qualified in Germany as reference board for artists and operators of street arts, giving its contribution to found the national association representing this sector. For this reason its role in OPEN has fundamental importance. to experiment with and bring to the stage new theatrical and visual experiences; to give young creative talents just starting out a helping hand. The Festival puts on a wide range of shows, some of which are free of charge, and Namur en Mai shares the fundamental idea that creativity is a vital element in our society, and the key to everyone discovering his or her own value. Furthermore, our board conceives and realize many special events for public and private boards, and support the customer in terms of production, diffusion, maintaining contacts with 30 festivals in 15 countries all over the world; it also organizes stages and forums on subject, publish and makes available a documentation fund specialized on street arts, promotes artists and shows. Promotion des Arts Forains is qualified in Belgium as reference board for artists and operators of street arts, giving its contribution to found the association representing this sector in Wallonie. For this reason its role in OPEN has fundamental importance. To participate to the activities of international Forum; To intervene to initiatives programmed in activity plan and organized by other project partners; To engage itself in the adoption of normative and measures favouring the promotion of street arts. To engage itself in the adoption of normative and measures favouring the promotion of street arts. To host some shows programmed at the Italian section of OPEN Festval and also at the OPEN International Showcase, in 2010 and 2011; To engage itself in the adoption of normative and measures favouring the promotion of street arts. To cooperate with its city council to host some shows programmed at the Italian section of OPEN Festval, in 2010 and 2011; To participate to the activities of international Forum; To engage itself in give voluntary support for services in favour of street arts. 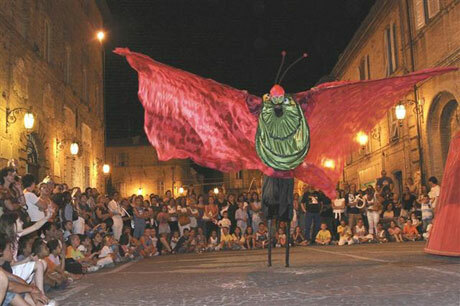 The University of Macerata - Faculty of Cultural Assets (IT) will be charged to develop and complete, between 2010 and 2011, a scientific study on utilization of street performing art in cities and territories involved in project. To participate to the activities of international Forum; to intervene to initiatives programmed in activity plan and organized by other project partners; to engage itself in the adoption of measures favouring the promotion of street arts in respective regions. To make a selection in Italy of companies to be invited to the International Showcases; To invite to its festival the productions awarded in the OPEN International Showcase 2010; To intervene to project initiatives, in particular to meetings and International Showcases. To make a selection in respective countries of companies to be invited to the International Showcases; To invite to its festival the productions awarded in the ambit of the OPEN International Showcase 2010; To intervene to initiatives of coorganizers, in particular Meetings and Showcase.